Last February the New England Patriots won their 4th Super Bowl championship in the last 14 years. Coach Bill Belichick and Tom Brady have been front and center for each one. In doing so they became only the second coach /quarterback combo to achieve 4 titles in the Super Bowl era. 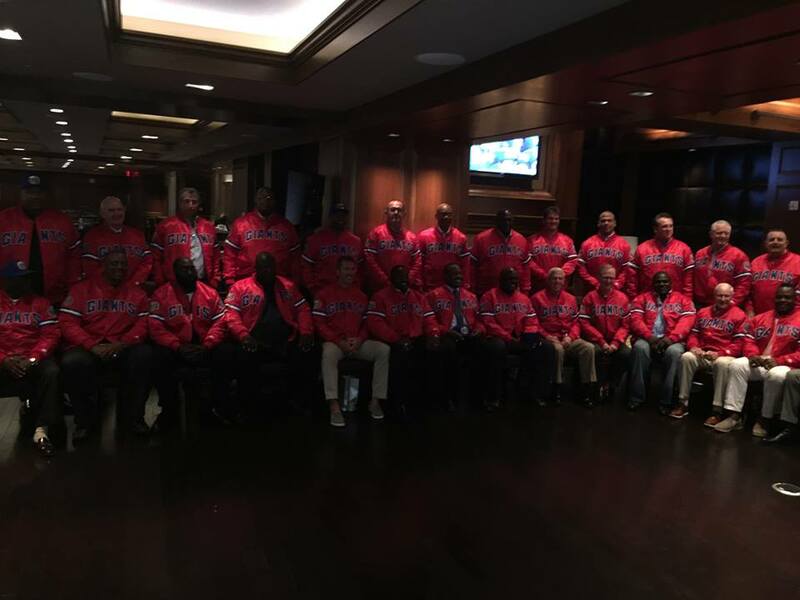 On Sunday they attended a ceremony hosted by Robert Kraft to receive the hardware commemorating the event. 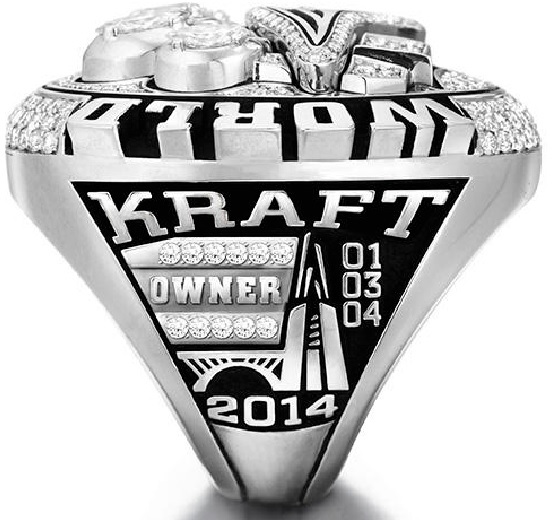 With all that has hit this organization over the last couple of years, you knew Kraft was going to go all out. Detractors had said Belichick hadn’t won since Spy-Gate. The legacy of Tom Brady as the best quarterback of his generation, was in question by some pundits. Victory in Super Bowl XLIX completely laid those to rest. First off the team had gone undefeated, played in two Super Bowls, and appeared in two more AFC Championship Games since. So where the Patriots hadn’t won since Spy-Gate argument came from never made sense. How Tom Brady held a 3-1…oops make that 4-1 advantage in Super Bowl victories somehow had him behind Peyton Manning was lunacy. Going into Super Bowl XLVI, I already gave Belichick his laurels. Where Vince Lombardi was the NFL’s greatest coach of the first 50 years of pro football, Belichick is the greatest of the last 50. Eight trips to the AFC championship game, six Super Bowl appearances with four wins. No one comes within hailing distance of that type of performance. It will be interesting to watch how pundits speak of this era of Patriot championships in the future. 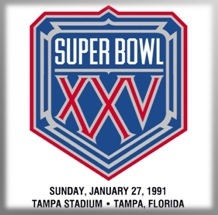 The first dynasty ended with their victory in XXXIX against the Eagles. Yet they won consistently for the next decade before winning it all 10 years later. 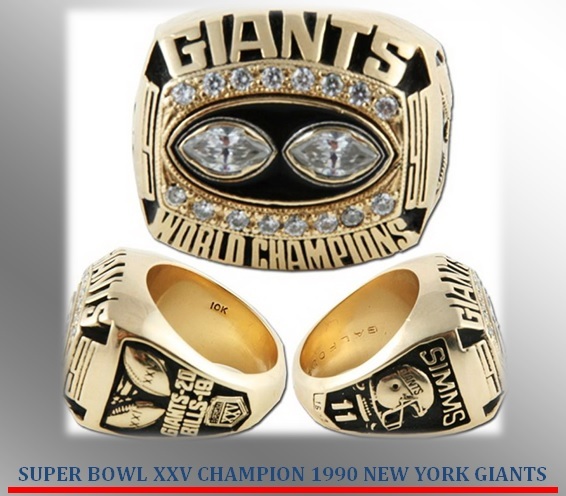 Someone might bring up the 1980-1990 San Francisco 49ers, but they didn’t have two more trips to the Super Bowl between championships during their tenure. Just NFC Championship losses to the Dallas Cowboys. 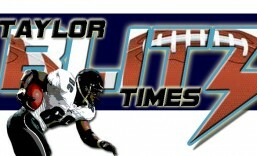 What about the Dallas Cowboys of the 1990’s who won 3 championships in 4 years?? Well the first dynasty equaled that feat of 3 in 4 years and consistently won for a decade after that, appearing in 3 more Super Bowls winning one. Dallas won only 1 playoff game in the next decade after that. Now if we put the Patriots up against the Pittsburgh Steelers of the 1970s and the Green Bay Packers of the 1960’s the debate intensifies. Many will point to the Spy-gate and Deflate-gate incidents to tarnish their accomplishments, yet it’s not enough. This run for sustained excellence is one of the best in NFL history. As The Chancellor of Football, looking at this ring I don’t think of the 2014 championship, I think about the closing of an era. Last year they won on guile and quarterback know how, they weren’t clearly the best team. Yet they didn’t have to be. Winning back in February had more to do with the championship mettle Belichick and Brady were able to instill in a new group of Patriots. Much like the 1979 Pittsburgh Steelers, 1995 Dallas Cowboys, and the 1967 Green Bay Packers they barely finished ahead of the pack. Will they do so in 2015?? You’ll need to read the previous article to see how The Chancellor thinks they’ll fare in 2015. 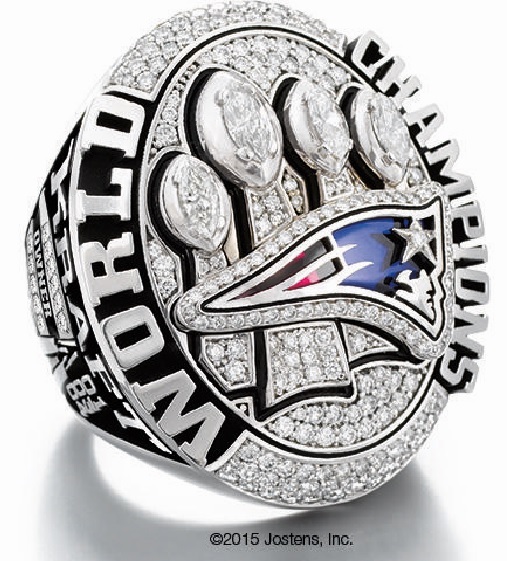 It’s this bauble that cemented the legacies of the Patriots, Belichick, and Brady. When Malcolm Butler jumped Ricardo Lockett’s slant in the waning moments of Super Bowl XLIX, it was one of the great plays in NFL championship history. In one swoop Butler thwarted a Seahawk dynasty. Cemented the post Spy Gate legacy of Tom Brady, and insured his name will be bought up at the end of every close Super Bowl through out eternity. 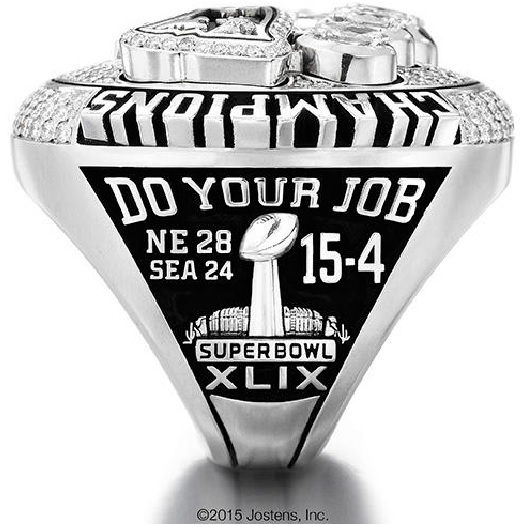 In the next couple of weeks, the Patriots will receive their championship rings commemorating the event. Yet now the Patriots have to get back to work. Amid all the pomp and circumstance is the pending suspension of Tom Brady. The Chancellor’s stance is he will miss the first 4 weeks. If it were true the signing of CBs Brandon Browner and Darelle Revis made the Patriots a Super Bowl contender, what does their departure mean?? Now subtract Vince Wilfork (The U) from the center of that line and the Patriots are rebuilding defensively. They re-signed LB Brandon Spikes and released him after the ordeal with his abandoned car / accident. They did not need another p.r. hit on the heels of an Aaron Hernandez guilty verdict, and the aftermath of “Deflate-gate. 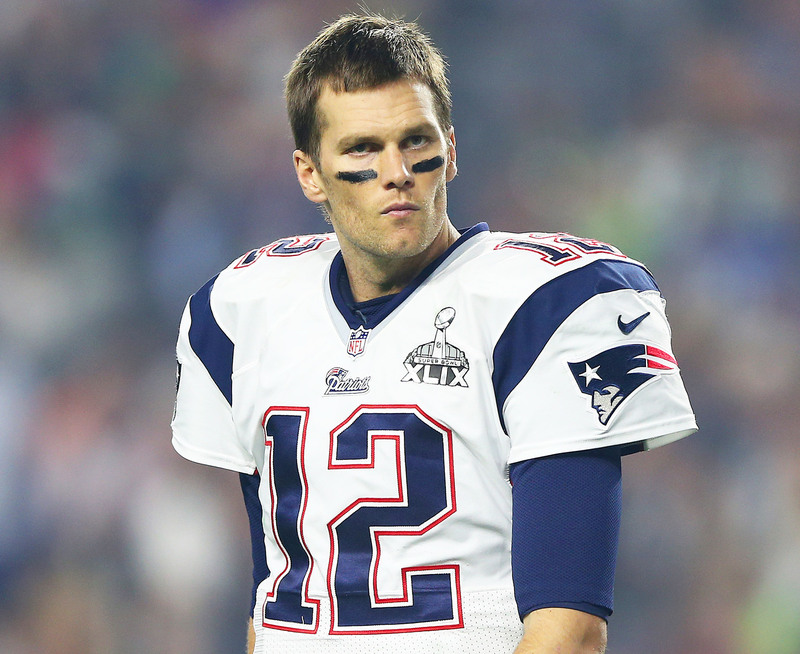 Brady’s suspension appeal will fully impact the 2015 season. Offensively: This begins and ends with the upcoming suspension of Tom Brady. 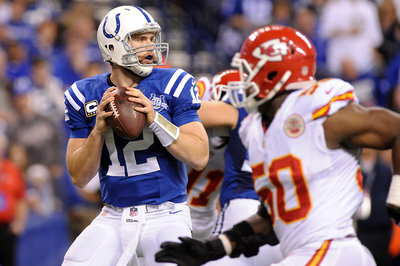 If he serves his full suspension, he can’t practice with the team and wouldn’t be back until week 5 against the Colts. The offense won’t get in rhythm until the 9th or 10th week. Keep in mind Brady is 37 yrs of age where the difference shows up in hundredths of a second off in throwing motion and velocity. This leads to interceptions on passes toward the sideline 10-15 yards downfield. Belichick will have to balance the offense in his absence. 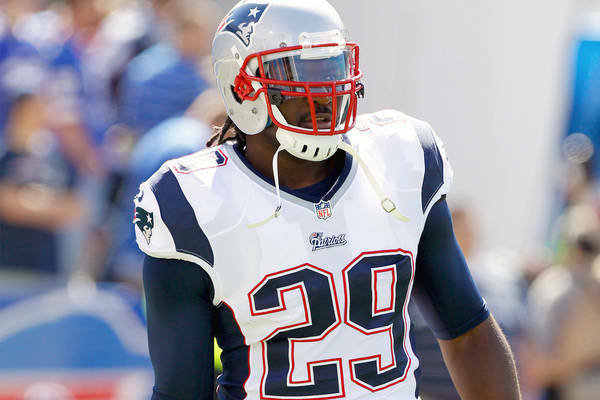 He did it masterfully with LeGarrette Blount (281 yds) and Jonas Gray (412 yds) last year when Stevan Ridley was lost to injury. Last year’s 2nd leading rusher Shane Vereen (391 yds) was re-signed where Ridley was lost to free agency. The team just announced today the signing of QB Matt Flynn. In Jimmy Garoppolo the Patriots don’t fully trust. So now they have some quarterback insurance if Brady’s appeal is unsuccessful. 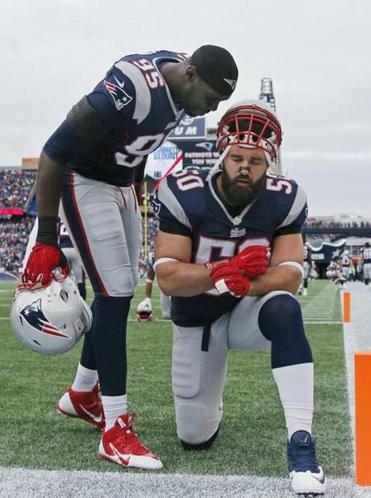 Chandler Jones and Rob Ninkovich are averaging 16 sacks per season as a tandem. Defensively: One block in the rebuilding of the defensive line came on draft day when Texas DT Malcolm Brown was taken in round 1. The 320 lb. is more of a 3 technique DT than a NT like the departed Wilfork. Belichick will rotate him in with Alan Branch and Chris Jones given all the fronts he uses. 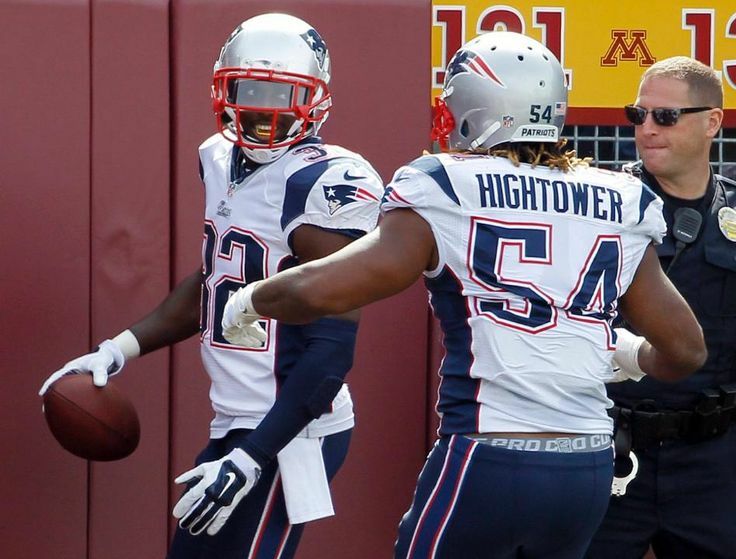 The saving grace to this defense is the tandem of Chandler Jones and Rob Ninkovich. Jones, with 23.5 sacks in his first 3 years, is due to break out in his 4th season. Those long Jevon Kearse-like arms make him an ideal blind side rusher. He’s across from Ninkovich, who is the consummate professional coming off an 8 sack season. The rush will need to offset the inexperience in the secondary. Overall: This team is steady but not spectacular and that will come back to haunt New England in 2015. It looks to be the last time the Patriots will be clearly the best team in the AFC East. As a champion last year they split with Miami and Buffalo then swept the Jets by a combined total of 3 points. It just takes a couple bounces of the ball to go from 12-4 to 10-6. Now remove Tom Brady from the equation for 4 weeks and the accumulative effect of all these distractions. Add to that the loss of Revis and CB Brandon Browner and an 8-8 to 9-7 record is very possible. Remember this defense was 16th against the pass, 13th overall and allowed 313 points with those two and Wilfork. Where will the on-field leadership come from?? Patriot fans better pray that Brady’s suspension is reduced. If not, this team could be 1-4 after the first 5 games. This team is steady but not spectacular. There are no real play makers to turn around tight games outside of Brady and he turns 38 August 3rd. If the suspension stays in place, the best this team will finish is 9-7. After watching last night’s obliteration of the New England Patriots, it’s time grade this team. Did we really just watch Tom Brady get benched?? Last night just looked strange seeing Belichick and Brady on the business end of a 41-14 bludgeoning. However when you looked around, there are no other playmakers on this team. 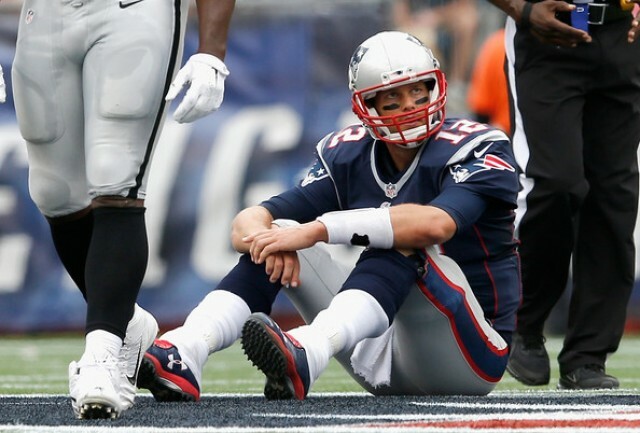 Tom Brady’s frustrating 2014 start. Of course you don’t want to overreact to 1 game but we have now played 4. A quarter of the season is a good enough sample size to assess how a team is doing and project how they will do. So far Brady has been sacked 9 times but he’s been hurried and hit many more. The offensive line has been shuffled and one glaring front office decision is truly haunting this team. Remember when the Patriots didn’t re-sign Wes Welker and decided to waste $31 million on Danny Amendola?? We’ll get into that but…how do you pay that to a marginal receiver who was once cut on Hard Knocks?? Do you realize New England has the NFL’s 29th ranked offense?? Only Tampa, Jacksonville, and Oakland have been more anemic. Right now the Patriots are ranked 30th passing the football…30th!! The glaring lack of receivers to get deep is killing this team. Concentrate your defense 20 yards or less and you can bottle them up. Denver did this in the AFC Championship Game and it’s the blueprint opponents have used ever since. New England has averaged 20 points while facing the 7th, 17th, 20th, and 11th ranked defenses in this 1st quarter of the season. Now they go home to face the undefeated Cincinnati Bengals who boast the 14th ranked defense. Two things to keep in mind though. Brady and company could only muster 16 points at home against the 20th ranked Raider defense a few weeks back. Another is the Bengals held New England to their lowest output of the season last year with just 6 points. 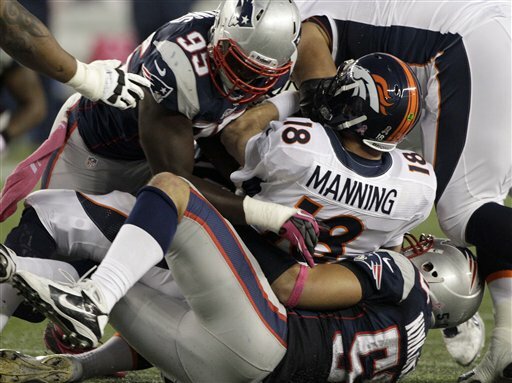 The surprising part of last night’s loss was how gashed the Patriots 4th ranked defense was. They nearly gave up two 100 yard rushers in Jamaal Charles (92 yds) and Knile Davis (107 yds). Keep in mind one of their 2 wins came against the Raiders who are not only dead last on offense, but just fired head coach Dennis Allen. This Sunday is a must win game against Cincinnati. They need to prove to themselves they are still among the league’s elite. If they lose this game they’ll have to travel to Buffalo with a 1-2 road record and 2-3 record overall. The Bills boast the 10th best defense in football right now. Of course some will scoff “Didn’t the Bills just bench their quarterback?” Which is true. However with just 4 touchdowns so far this season, isn’t that what New England did to Tom Brady last night?? These are interesting times.